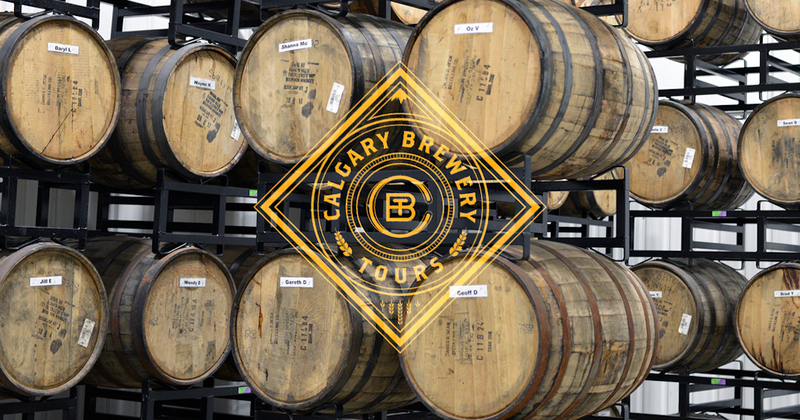 With all the local talent popping up in Calgary, it can be difficult to keep track of all the breweries looking to quench your thirst. Sure, a pub-crawl might help, but you’re just as likely to get sidetracked chasing the bottom of a pitcher as learn about Alberta beer. The solution? Delegate the planning, which the fine folks over at Calgary Brewery Tours are more than happy to do, and simply enjoy the beer. The tour stops at local lager luminaries Village Brewery, Craft Beer Market, The Dandy Brewing Company, Tool Shed Brewing Company and Last Best Brewing and Distilling, and while you might fear the stops become repetitive, the breadth of styles (and beers) across these five companies means each one has its own draws. From Tool Shed brewery’s massive rooms with painted murals to the Dandy Brewing Company’s cozy, old-timey-art-adorned front room, the tour reinforces the idea that breweries are every bit as unique as their founders. The tour itself takes the better part of a day, where you’ll be bussed around in style in Checker Transportation Group’s cushiest Ambassador seats, making roughly hour-long stops at each location. Each brewery puts its best beers forward, offering tastings of its finest stock with tasting notes, a bit of their own history as well as a guided tour of where the magic happens. Tour patrons also benefit from a nice discount on drink and merchandise, as well as a swag-filled souvenir bag with chips to soak up the booze between breweries and a few other goodies. Craft has more than 120 beers on tap at any one time, and its rotating taps means you’ll never be at a loss for new brews. The keg room is home to 250 kegs, which can collectively hold as much as 19,000 litres of beer at one time. The beer trunk line you can spot running through the restaurant measures 231 metres, which is slightly longer than the Bow Skyscraper (226 metres) is tall. Craft Beer Market’s frosty backroom is home to an impressive number of beer kegs, most of which are on tap. Learn Village lore: Many brews are named after actual people, and your guide will share some of their stories. The tasting room doubles as an art gallery featuring rotating artists, a Village-branded caber from the Highland games and tables designed by a local artist and reclaimed from the now-defunct Unicorn Pub. Village brews approximately 8,000 pints a day, and 10,000 hectalitres a year. Village Brewery’s custom tables are all unique and add a unique flair to its tasting room. Dandy uses custom-built kettles heated from underneath using fire, a traditional method that allows for caramelization in drinks like the scotch ale. Alberta’s smallest brewing company, it produces about two batches, or 800 litres, a day. In addition to its current offerings like Oyster Stout and English Pale Ale, Dandy is working on making a Pale Sour with ginger in the near future. The Dandy Brewing Company’s quirky designs are all drawn by local artists . Learning the origins of Tool Shed’s beer names is great fun. For example, its Starcheek I.P.A. comes from the founders’ friend’s unusual cheek blush pattern, and People Skills Cream Ale is named after an old army acquaintance who “lacked social grace,” to put it mildly. Started in an 8×8 shed, Tool Shed Brewing Company now works out of a huge brewery near Franklin Industrial Park with its own canning and labeling facility. According to Tool Shed co-founder Graham Sherman, canning is the best way to package beer, as cans are better at blocking UV light, which alters the taste of beer. If you’re lucky, he’ll let you tap a drink straight from the vats for a taste as pure as you can get. Tool Shed co-founder Graham Sherman takes a group on a tour of his brewery. The name Last Best isn’t (entirely) them boasting; it owes its name to a campaign called The Last Best West, an effort by the Canadian Government to populate the Western prairies at the turn of the 20th century. Though it’s yet to see the light of day, Last Best makes its own whiskey, which is currently being aged in preparation for its big debut a few years down the road. Last Best’s tasting has an impressive variety of beers to suit teetotalers and boozehounds of all stripes, from the Caramel Latte Beer, a dark, smooth brew with a Fratello coffee finish, to the light and citrusy Show Pony Ale. Tasting samples and notes from six of Last Best Brewery’s collection.